Takeuchi no Sukune, No. 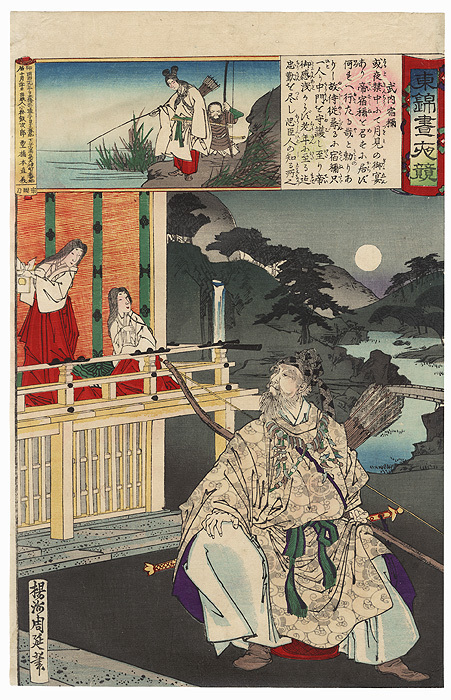 46 - Impressive portrait of the warrior Takeuchi no Sukune in the Imperial Gardens on a moonlit night. 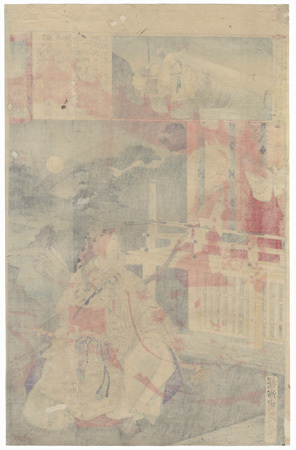 He served as a trusted minister for the third century Empress Jingu, shown with him in the inset above fishing. 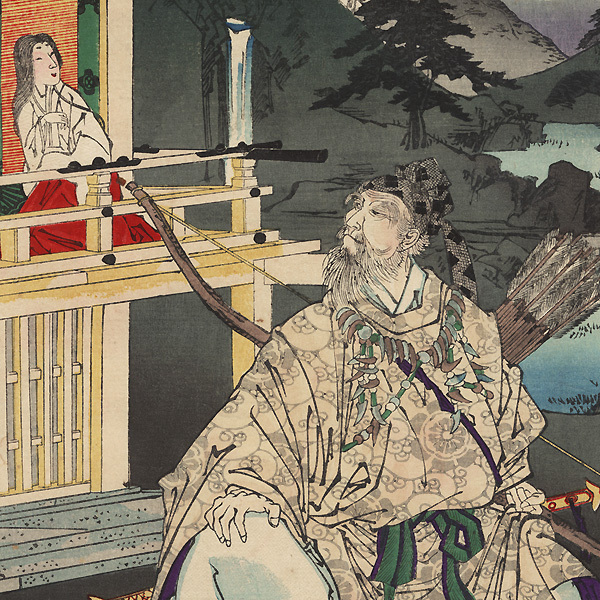 The elderly samurai sits on a stool, his bow and arrows slung across his back, an unusual claw necklace around his neck. A river winds back among the hills, with a full moon glowing in the evening sky. A handsome image, detailed with embossing in the white kimono and a dusting of mica on the ground and some of the rocks in the background. Condition - This print with excellent color and detail as shown. Backed with paper. A few small holes, small tear at edge, repaired. Slight toning, a few creases, slight soiling at edges. Please see photos for details. Good overall.